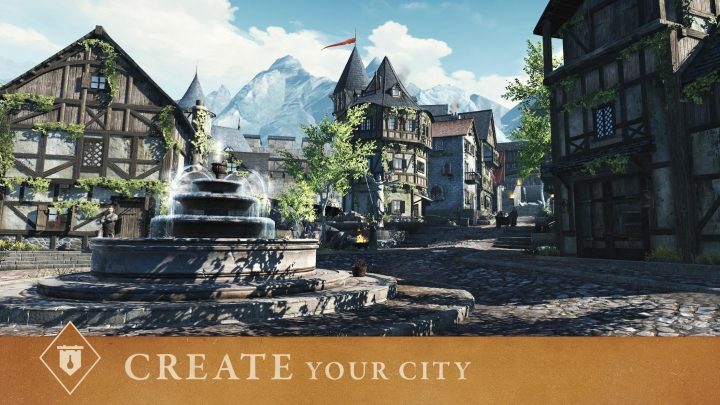 In Elder Scrolls: Blades, you get to construct your very own town. You’ll name it, and select which buildings to construct and vendors to upgrade. Customizing your town is a big part of the game, and it’s even required to make progress. Before you can continue quests up to a certain point, you’ll need to upgrade your town level. To upgrade your town level, you have to increase your town XP — which is totally separate from the normal XP you earn to level up your character. Confused yet? It’s actually very simple, and there’s one trick you can use to make leveling up your town much more efficient. Don’t waste resources building multiple house structures when you need your limestone for upgrading the blacksmith and enchanting tower. Here’s the best, simplest way to level up your town — and it’s fast, too. One of the requirements for jobs is your Town Level. The higher your town level, the more you’ll be able to progress in the story. Houses/homes/homesteads don’t do anything except increase your town XP, and help your town level up. It’s better to save your resources and upgrade your Blacksmith / Enchanting Tower first and foremost. Always try to keep them upgraded, and don’t waste slots on homes or homesteads. Instead, wait until you need to level up your town. The best way to level up your town is to continuously build one home, over and over. Just have one house in your town, and then demolish it — you’ll get back some of the materials used in the construction. You’ll keep the XP your town has gained. Essentially, you only need one home in your town. Just delete it, rebuild it, get back some resources, and repeat the process. The building time will reset to 6 minutes, so it doesn’t even take too long. You can continue to do this constantly throughout the game. This method doesn’t make your town look very nice, though. I recommend waiting until you’re ready to really spruce up your town before dedicating yourself to multiple buildings. This way, you can collect a bunch of resources, make some progress, then go back and make the town your own later.